Judge Robert Okun ruled that Save the Corcoran’s members who are currently affiliated with the Corcoran have a right to oppose the merger. Hatchet File Photo. This post was written by Hatchet reporter Surya Greer. Nine current students, faculty and staff of the Corcoran College of Art + Design and the Corcoran Gallery of Art will be allowed to intervene in legal proceedings to finalize the art school and gallery’s merger with GW and the National Gallery of Art, a D.C. Superior Court judge ruled Monday. Judge Robert Okun said members of the advocacy group Save the Corcoran who are currently affiliated with the Corcoran can make their case to stop the merger. Former employees and alumni cannot. Save the Corcoran is looking to intervene in the Corcoran’s petition to change it’s nonprofit charter, a necessary step before GW can acquire it. Save the Corcoran blames financial mismanagement for the school’s inability to operate independently. He said it has legal standing in the case because the members have a “special interest” that isn’t represented by the Corcoran or D.C. Attorney General Irvin Nathan’s office. Nathan’s office has already sided in favor of the deal, endorsing the merger in a court record that includes 233 pages of documents, two weeks after Save the Corcoran filed its motion to intervene. The members of Save the Corcoran will be able to voice their opposition to the merger at a July 28 hearing. 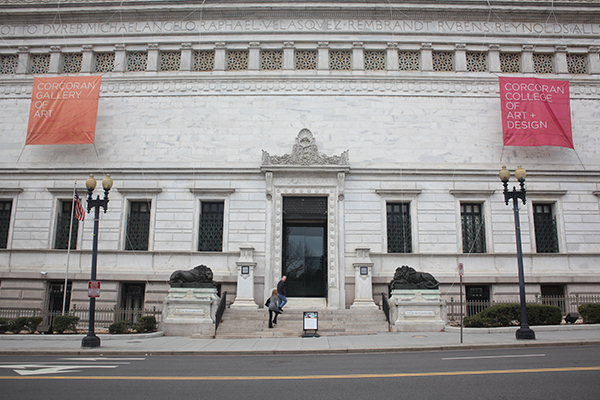 Save the Corcoran can now sift through seven years of the Corcoran’s audited financial records as well as the minutes from Board of Trustees’ meetings since 2010, the Washington Business Journal reported.